It hit me the other day that there are certain things that I won't run without. Whether I'm running from home or packing my running bag, there are 5 must-haves that I have discovered over the last year and a half and 1250+ miles. Each item plays a role in making my runs comfortable, productive, and fun. 1. My Mizunos. I have three pair. Silver Wave Rider 15s purchased on the recommendation of my local running store (so glad that I listened). Pink Wave Rider 15s Limited Edition that I won in a raffle. I rotate wearing these on my short runs. For my long runs I wear my Wave Inspire 8s that I received from the Mezamashii Project. These shoes make my feet happy. They are lightweight and cozy, yet supportive. Running in these shoes is like putting on a pair of comfy jeans after working all day. You can check out my full review here. 3. My Simple Hydration Water Bottle. I do not like to run with things in my hands, but I need to hydrate and where I run, I'm not going to find water fountains (or bubblers as they like to say in NH). When I saw this bottle, I knew it was the one for me because it is designed to hook onto waistbands or belts and be handsfree. Running with this bottle is so simple; just tuck it in and go. There are no straps or clips or buckles. It doesn't matter what distance I'm running, I always take the bottle with me. 4. My Sweaty Bands. I received my first Sweaty Bands from my running partner Daisy as a gift. I tried to wear slip-on headbands in the past, but they always slid up my head. So, I gave up and began wearing the hard plastic kind that press in right behind my ears. You know the kind, right? My first run wearing my Sweaty Bands opened up a whole new world for me. Even with all my thick hair that Sweaty Bands did not move. Now the only problem I have is trying to figure out which ones to buy! 5. My Cytomax. I use this during runs to hold off the energy crash and after runs to replenish and recover. I love that I can make it right in the bottle. Fill with water, add two scoops, and shake. I like to make mine the night before so that it is nice and cold. On long runs, I pour some into my Simple Hydration water bottle to take with me and drink the left over afterwards. Simple Hydration, Sweaty Bands, and Cytomax want to spread the must-have love with some lucky readers of Running Escapades! So, one lucky winner will receive a Simple Hydration Water Bottle, two lucky winners will receive a Sweaty Bands, and one lucky winner will get a generous variety pack from Cytomax! 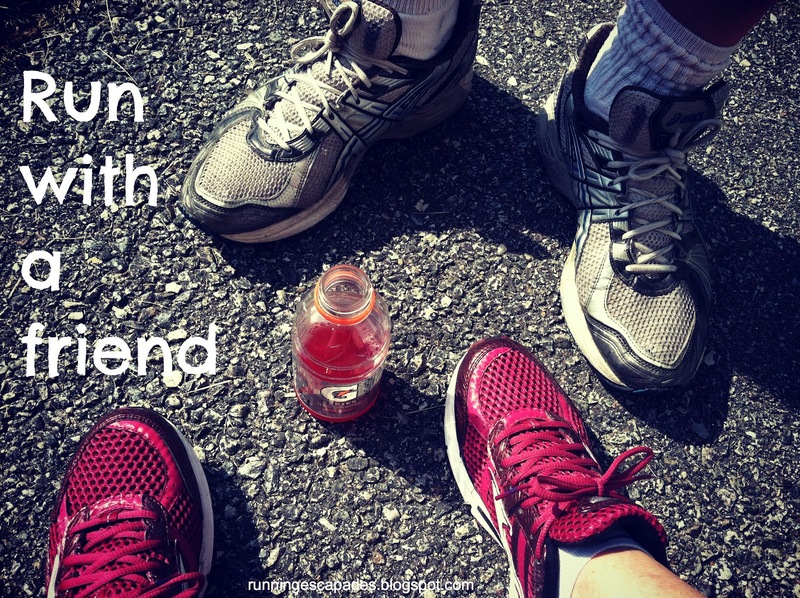 Leave a comment telling me about your running or fitness must-haves! Blog, Tweet, Facebook - tell everyone about the giveaway! And let me know what you did! Winners will be picked at random. Contest only open to US participants. Giveaway ends Monday September 3. THIS GIVEAWAY IS NOW COMPLETE! THANKS FOR ENTERING! I like to think of last week as a week of freedom runs. 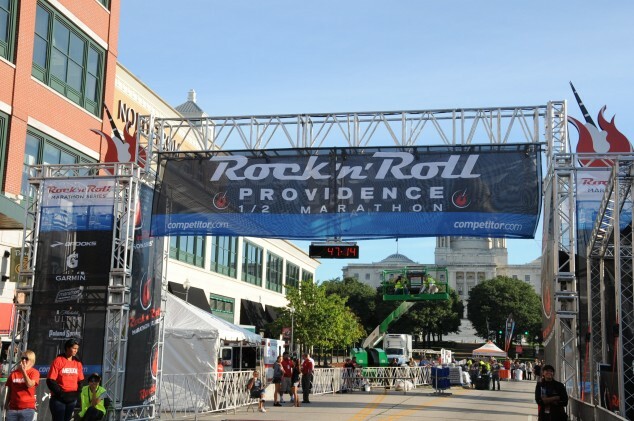 The Rock 'n Roll Providence Half Marathon was over and I wasn't ready to roll right into preparation for Reach the Beach and ZOOMA yet. It was nice to just go out and run without any thought to training schedules. #TrainingTruth: Running on trails is a great way to break free from the noise and traffic of every day life. #TrainingTruth: There is a certain liberation in being able to run anywhere at any time (like during soccer practice). 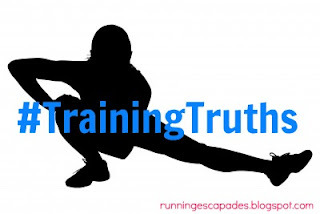 #TrainingTruth: You can meet the nicest people when you're out for a run and not constrained by finish times and pace. 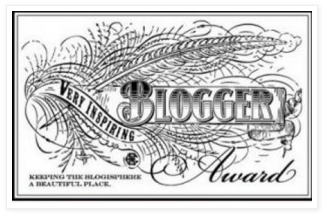 Jen from Running With The Girls tagged me with a Very Inspiring Blogger Award. Thanks Jen! 1. Newport, RI - This weekend we are heading back to Rhode Island. Saturday we'll be getting in a long run along the Newport Half Marathon course before hanging out at the beach. Saturday evening we will be enjoying the tunes of Survivor at the Naval Station Salute to Summer Concert & Fireworks Show. Finally on Sunday we'll be getting in a day of sailing. 2. 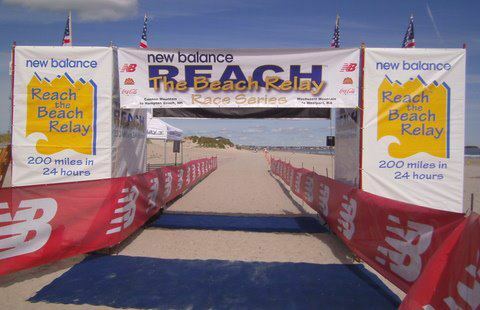 Reach the Beach - In a few weeks I will be running my very first relay race as part of Team One Track Minded. 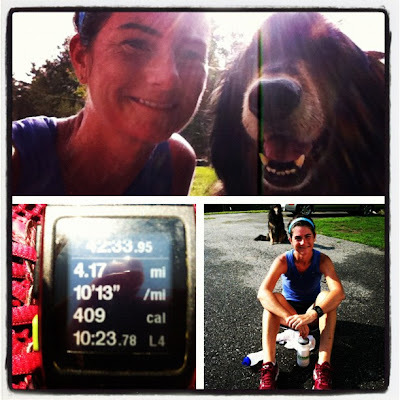 I was invited to the team by my running partner Daisy who has run both NH and MA RTB Relays. I'm both nervous and excited for this running adventure, but know that I am in good hands. 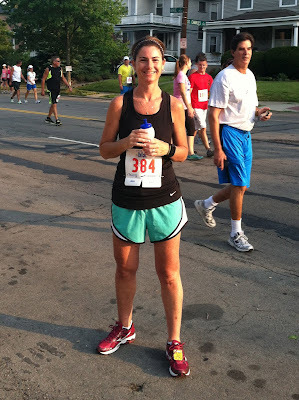 I read some really great relay tips from Sarah at Once Upon a Lime. Now all I need is to get my hands on a reflective night vest and head lamp! 3. ZOOMA Women's Half Marathon - The weekend after RTB, I'll be traveling to Cape Cod for another weekend of running fun! It all starts on Friday night with a Mocktail Hour sponsored by HINT at the Reds Poolside bar where special guest The Fitnessista and all the CC ZOOMA Ambassadors will be hanging out! Want to join us? All Cape Cod runners are invited, just RSVP here. Not signed up for the race yet? Register here and don't forget to use my discount code CCAMB8! 4. Fall - I'm really looking forward to the cooler running temps. 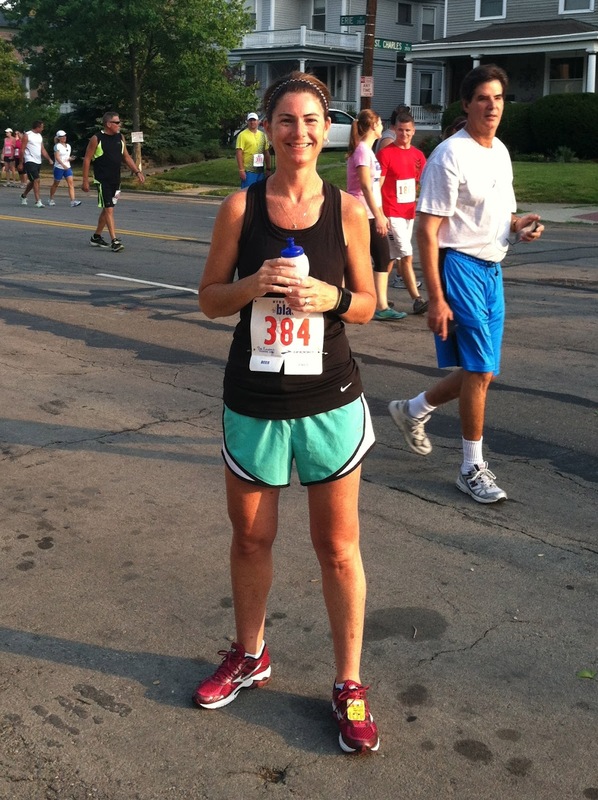 I love summer, but I am a cold weather runner. In NH we are already getting some glimpses of the cool fall weather in the mornings and some little teasers of the fall colors to come. And, all that summer training means faster running in the fall. 5. 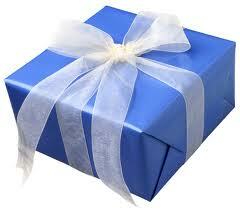 Giveaway - Coming soon I will be sharing an awesome giveaway with you featuring some of my favorite running gear. 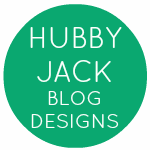 If you follow my blog, you might be able to guess what might be on my list, but stay tuned! Be sure to check back for more details. 6. Soccer Season - I grew up a soccer junkie and now I'm lucky enough to be the step parent of one. My step daughter is starting her second year of high school varsity soccer and I am really looking forward to watching her play. Did you know soccer players typically run 5-8 miles during the course of one game? 7. 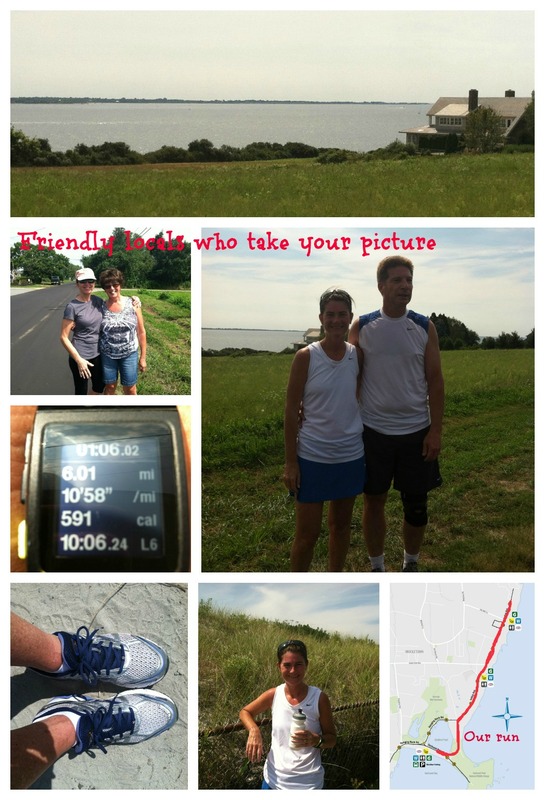 Running with my Husband - I love that my husband is my #1 fan. He drives me to races (sometimes super early), takes pictures, hangs out while I talk to friends, and cheers for me. What I love most of all though, is running WITH him. He has a crazy work schedule, but I'm really looking forward to adding many more miles to our running shoes together. 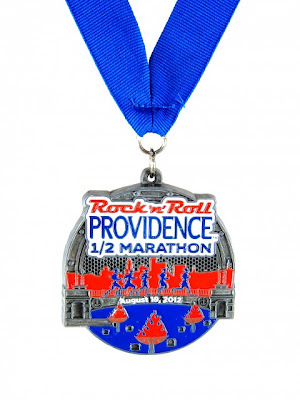 On August 19, 2012 I ran the Rock 'n Roll Half Marathon in Providence. My husband and I headed down to Providence early on Saturday so that we would have time to do as many of the things as I had planned for us. We learned last year that it is better to stay in a hotel close to the festivities so that you can park the car for the weekend. We arrived early, but were able to check into our room at the Providence Biltmore located just a block from the main attractions of the weekend. I love that this host hotel let us check in early, but wish they had a better plan for runners to have late check-out after the race. 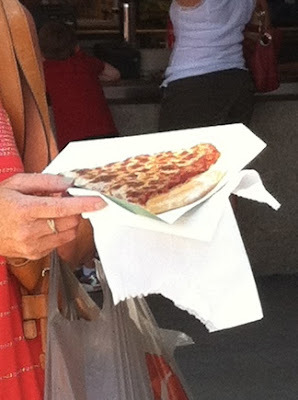 After dropping our bags, we walked to the mall for a quick bite to eat at the food court before we headed to the Health & Fitness Expo. I love how easy it is to get from Providence Place Mall to the Convention Center via the skywalk and avoid the wet weather. 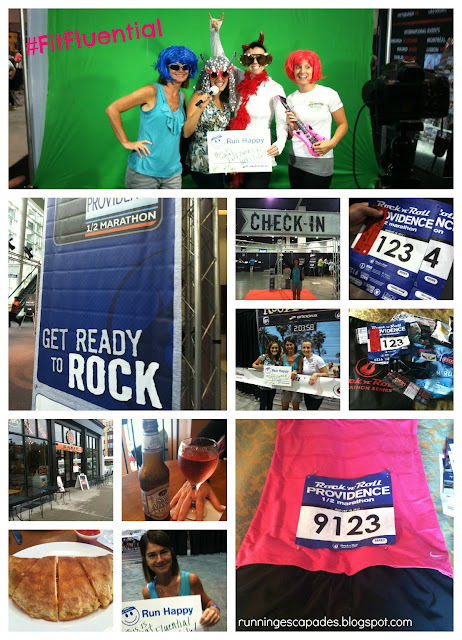 We spent about an hour checking in, picking up our race shirts and swag bags, and then wandering around to the vendors. As usual, the swag for this race was pretty nice. We received a race shirt and swag bag (to be used at gear check) filled with lots of goodies. By the time we left the expo, I felt like a trick-or-treater. By the way, thank you Sweaty Bands for being there! Right before we left I was able to meet up with some friends from FitFluential. It was great to see Janine, Sam, and Dani. We had some fun at the Rock 'n Roll Experience Booth! For dinner we walked to Providence's art and entertainment district for dinner at Sakis. 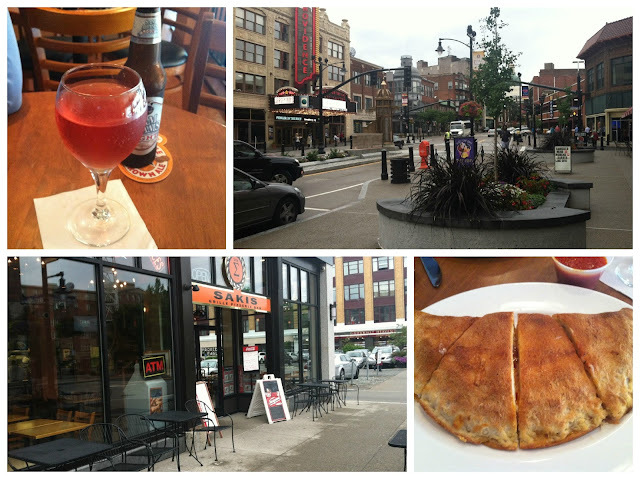 This cute little grilled pizzeria bar is located across from Johnson & Wales University and was the perfect place for a cozy pre-race dinner of calzones. The weather cooperated for WaterFire so after dinner we moseyed to WaterPark Place Basin and grabbed a seat for the lighting ceremony. It was a beautiful evening for sitting by the water, listening to the music, and enjoying the bonfires. Race Day: We started with a quick ritual breakfast of PB&J toast and then walked to the race. After leaving our bags at the gear check we made one last stop at the port-a-potties where lines were long and slow as they usually are at races. It seemed like there were fewer port-a-potties than last year though. We made it to our corral just prior to our wave start. Start - Mile 3: With a plan to go slow and walk every two, we eased into these first miles climbing gradually through the charming historic streets of Providence. The bands were on display before we reached mile 1 setting the tone for a lively run. We were feeling so good we completely missed our mile 2 walk. Miles 4 - 7: Once we made it up the steepest hill of the race, the course flattened out nicely and we were greeted with tree lined streets and vocal spectators. We passed the relay exchange around mile 5.1 which looked to be a smooth transition area. Mile 7 ended with a very steep downhill straight to the water. 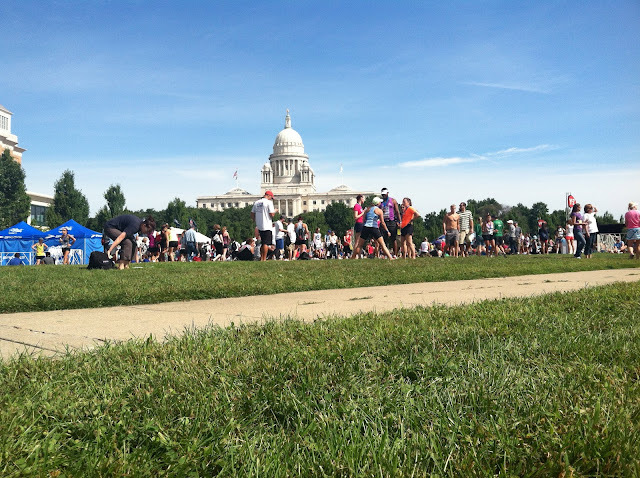 Miles 8 - 9: This part of the course was visually bordered by the Seekonk River, Blackstone Park, and Providence's East Side neighborhoods. 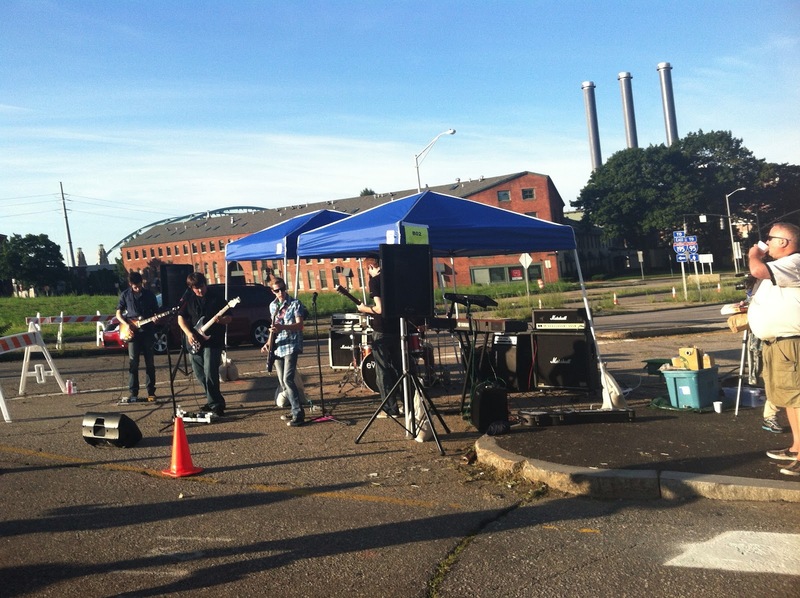 The live entertainment continued as we easily made our way back toward downtown. At one point we ran underneath an incredibly large inflated Brooks rocker. Miles 10 - 13.1: The longest mile 10 ever had us enter the city for a pair of double-backs that truly tested the mental endurance. Perfectly positioned cheerleader teams revved up the energy level and spirited our tiring legs. The uphill finish was the final test of our physical endurance. At the finish line we were handed our finisher's medals, photographed, and loaded down with lots of refueling goodies. After reclaiming our bags from gear check, we found a spot on the lawn to stretch, rehydrate with some low fat chocolate milk, and relax while they handed out awards to the speedy people. 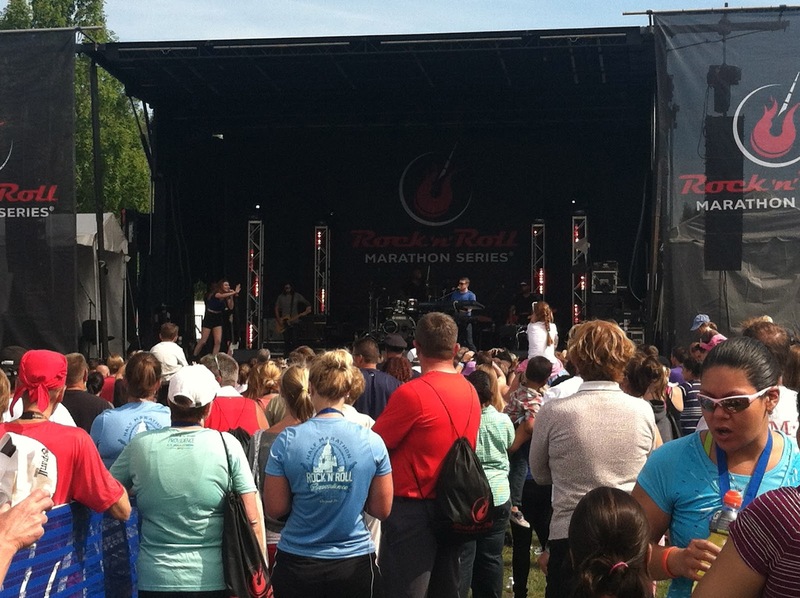 Under beautiful blue skies we loosened up our leg muscles with a stroll over to the stage to enjoy some of the post race concert by American pop-duo Karmin before walking back to the hotel. Last year my husband and I trained for and ran the entire Inaugural Rock 'n Roll Providence Half Marathon together, from start to finish. This year his training was inconsistent because of his work schedule, so I was his pacer. His longest run before the race was only 8 miles! 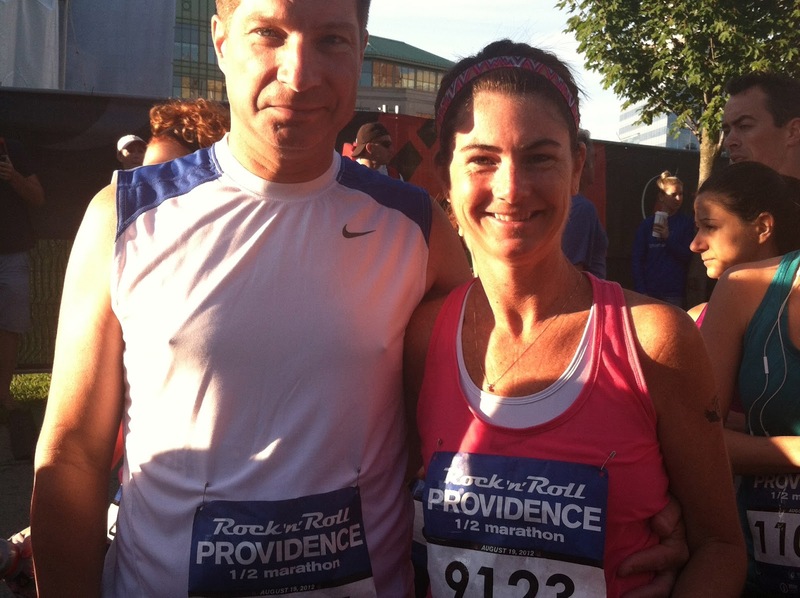 Despite his low mileage leading up to race day, my husband totally rocked his half marathon. 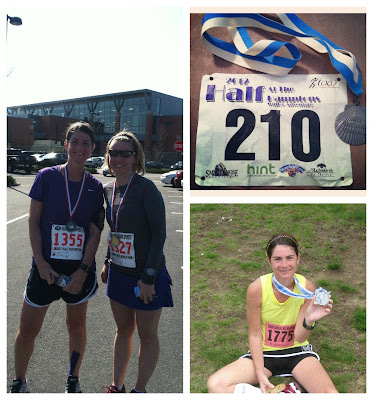 Last week was the taper week leading up to half marathon #5. Tapering is not a term that I am all that familiar with because I only started running distances longer than 10Ks a year ago. In fact, marathon #5 is a re-run of my first ever half marathon! #TrainingTruth: A humid 5 miles is not so bad if there is a view half way through. #TrainingTruth: A sweaty four mile run is good for practicing the perfect gear combination for race day. #TrainingTruth: Pre-race activities must be executed properly to ensure a successful race day: attend the expo, hang out with FitFluential peeps, and enjoy a pre-race meal. #TrainingTruth: All of the training pays off on race day! I'm super excited because tomorrow I'll be heading to Providence, Rhode Island for a mini-weekend. On Sunday I will be running half marathon #5. First stop after lunch is the Health & Fitness Expo held at the Rhode Island Convention Center. Here I will pick up our registration packets, swag bags, and race shirts before strolling the exhibits and visiting some of my favorite vendors. I'm really looking forward to stopping by Sweaty Bands. While we're at the expo, I'm looking forward to seeing some FitFluential friends at the FitFluential Meet-up! The plans are still in the works, but I'm hoping to see Janine, Samantha, Dani, and maybe Charlotte, and Robin. If there's time, I would like to attend one of the Fitness Clinics where runners can get some awesome tips from running legends and experts like Olympian Marc Davis, World Record Marathoner Khalid Khannouchi, and Boston Winner Geoff Smith. My husband and I will be meeting up with my friend Daisy (who is also running the half marathon) and her husband for pre-race dinner. Federal Hill is known for it's variety of Italian restaurants, and that is exactly what we are looking for! 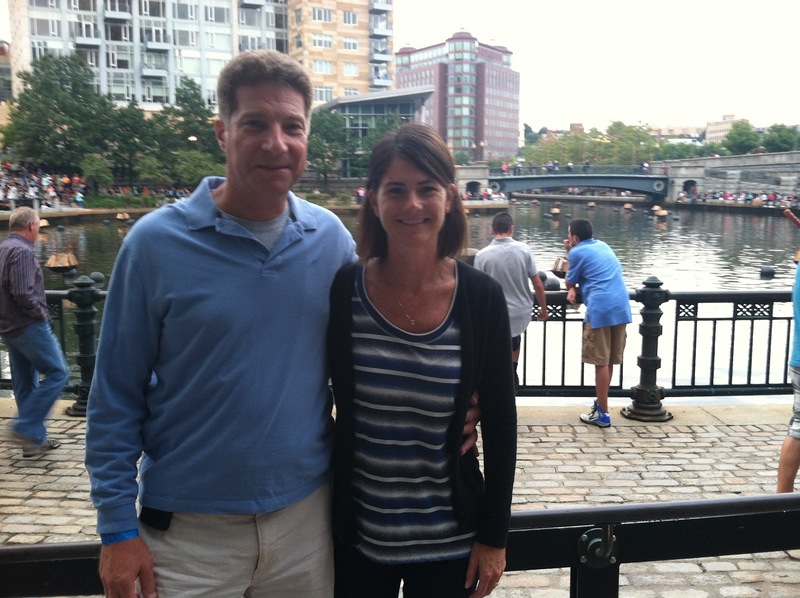 It's WaterFire Weekend in Providence, so after dinner we are planning to walk over to WaterPlace Park Basin to see over 80 sparkling water bonfires and listen to the music. Sunday morning it's time to Rock 'n Roll! We'll be up early and heading to the State House for the 7:00 AM start. 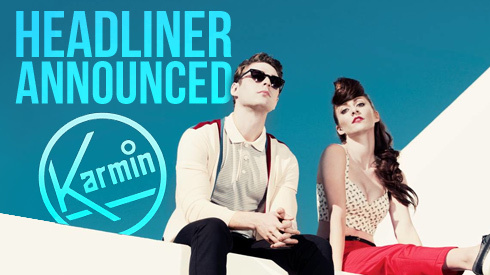 After the race we'll hang out at the Finish Line Festival, enjoy a free live performance by Karmin, and celebrate our new bling! As I told you in this post, the weather didn't play nice last year. I really hope that it cooperates this time for a fantastic mini-weekend in Providence and a great half marathon. 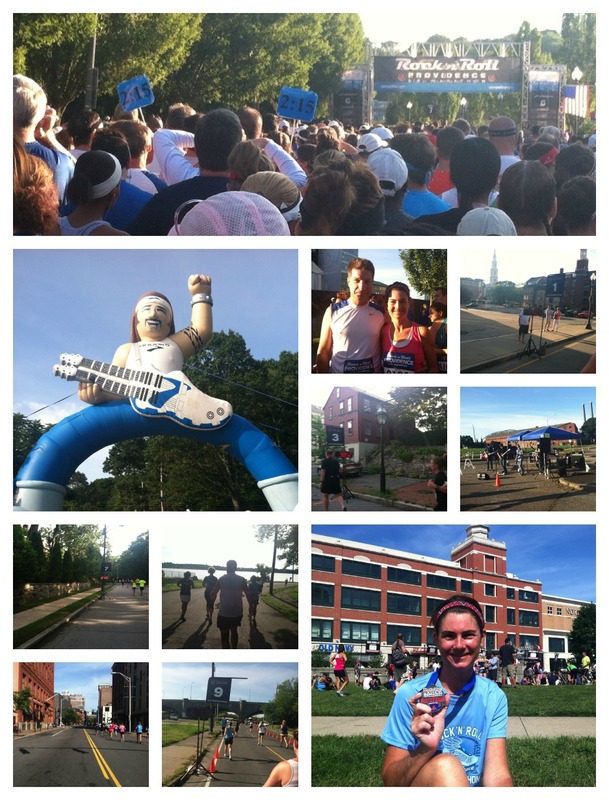 You can catch some of the fun via Twitter (#RnRProv), Instagram, and Facebook. If you're going to be at RnRPROV, be sure to let me know! Don't forget to check out other Fitness Friday posts over at Fitness, Health, and Happiness. 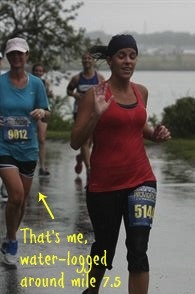 I joined the FitFluential community in December of 2011. 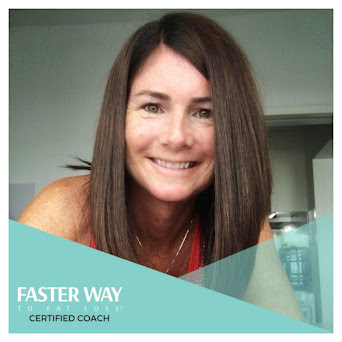 I was so impressed with the amount of support and encouragement I received from this online group, that I decided to apply to be an ambassador. 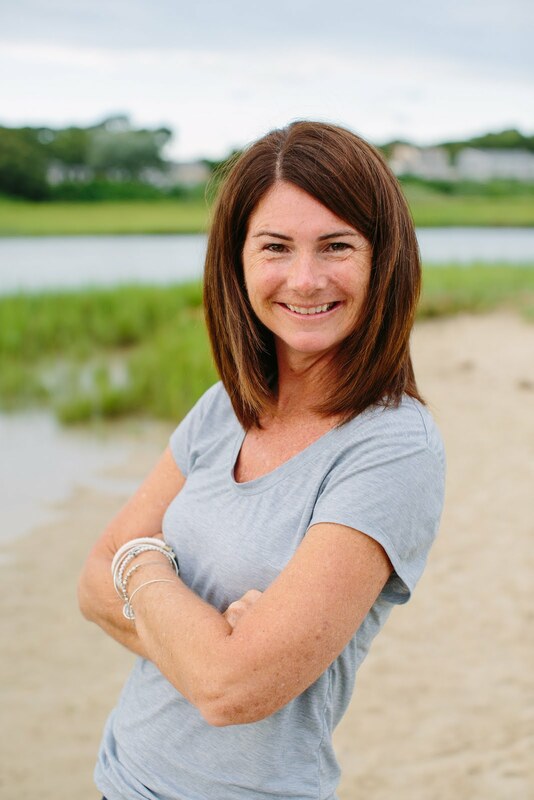 Today, I am in the Ambassador Spotlight over on the FitFluential Blog. Please take a moment to check it out and leave a comment. FitFluential is open to anyone and everyone who is passionate about fitness, not just bloggers. You may have a Twitter account and follow some of your favorite bloggers and vloggers, but you don’t consider yourself active in social media. You can still be a member of the FitFluential family. With your membership, you will be eligible for exclusive discounts and giveaways that are only available to the FitFluential family. FitFluential is launching Member Perks in July 2012. Additionally, you’ll find out when FitFluential events or other fitness events are coming to your city. And, if you’ve been thinking about starting a blog or diving into social media, we’re here to help. We can get you started telling your fitness story so that you can become even more involved in FitFluential. During the summer 2012, FitFluential will go live with its online training courses that will help you take things up a notch with your online fitness journey. If you are ready to blog, vlog, pin, tweet, instagram and hashtag, our courses will show you how, effortlessly. So, join the FitFluential Family now! The fun is just beginning. 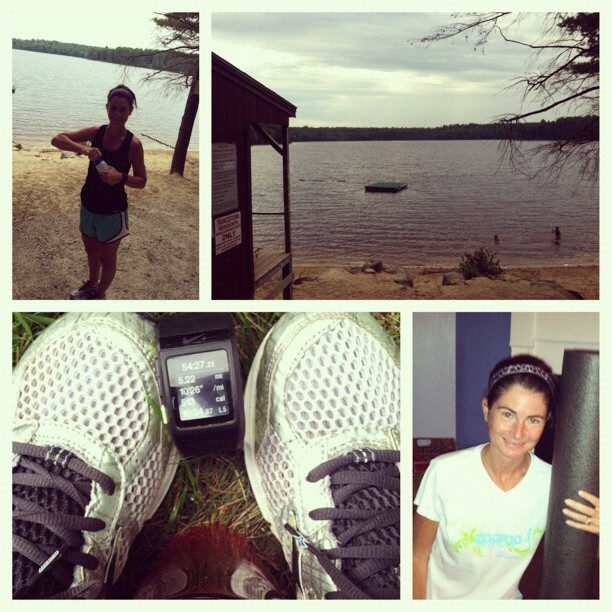 Have you been thinking that you'd like to apply to become a FitFluential Ambassador "one day?" Today is that day! FitFluential is making changes to the Ambassador program and will be closing the Ambassador application period on Saturday, August 18, 2012. Don't miss your chance! To apply, visit http://fitfluential.com/ambassadors. 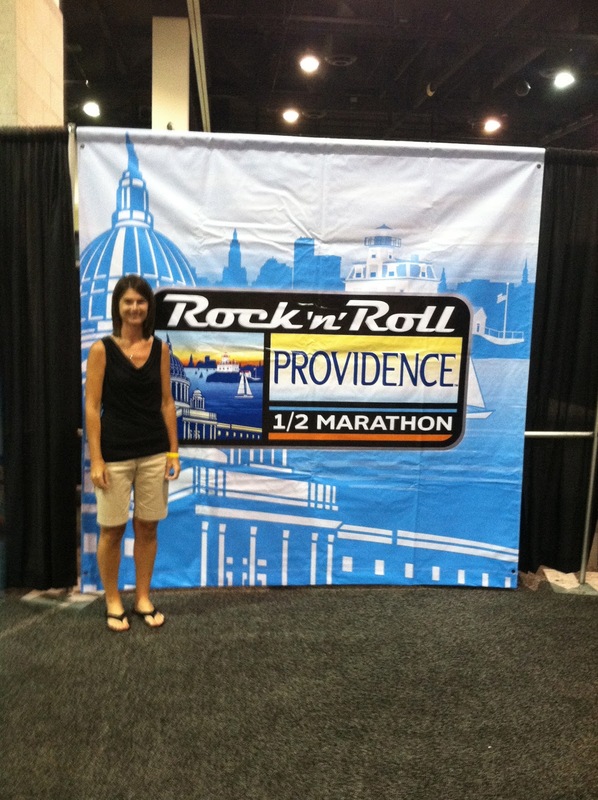 A year ago I ran my first half marathon at the Inaugural Rock 'n Roll Half Marathon in Providence, Rhode Island. Since then I have run three more. This weekend, my husband and I will be returning to Providence to run the Rock 'n Roll Half Marathon again. We are looking to bring home some new bling! 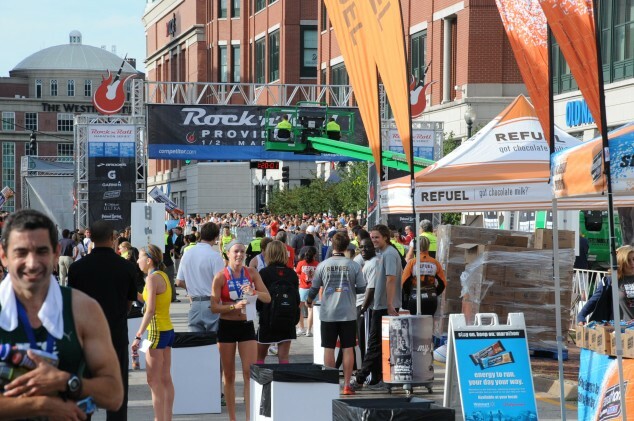 It rained the entire 13.1 miles last year and while we really don't want to do that again, RnR PROV is offering a Rainy Day Refund. If it rains more than an inch between 7-12, we can get a refund or a free entry into another RnR race event. Last year we had dinner at the WaterPlace Restaurant, a really nice place right there in the Capitol Center of Down City within walking distance of most of the race hotels. This year we will be looking for a place that serves up what we consider to be a better food group for our pre-race dinner! What is your go-to pre-race meal? 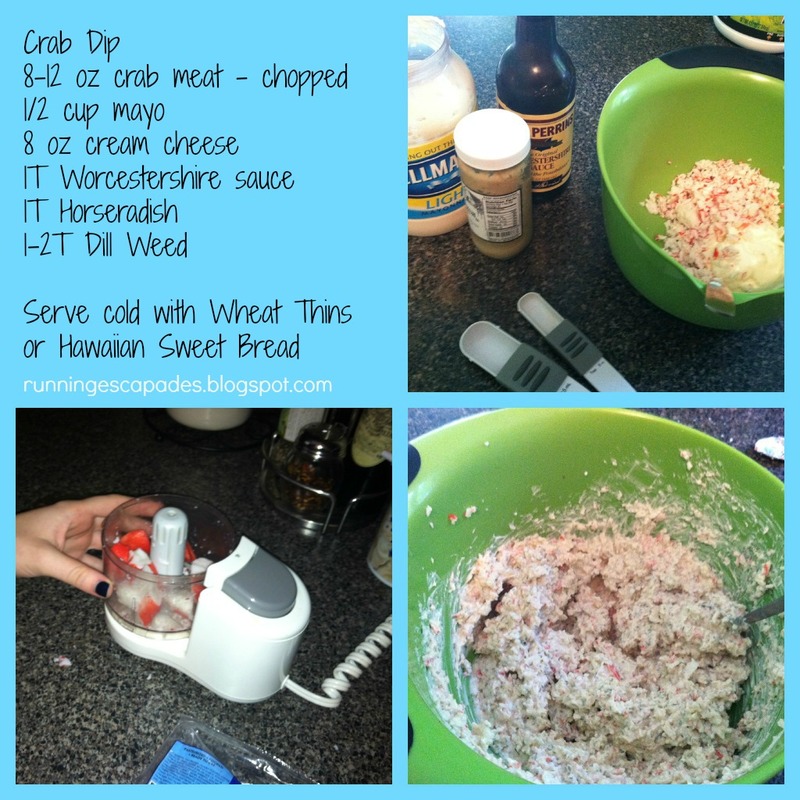 And for those of you who asked, here is the crab dip recipe I mentioned in this post.